Reading. Literacy. Exploring the world of Muslim children's and young adult's books. As always I’m on the lookout for new books and media that would enlighten Muslim kids and teens while encouraging them to feel a sense of happiness in being Muslim and to practice their faith with confidence. So imagine my delight when I stumbled upon this pictorial blog: Teaching Kids the Holy Quran. It’s a site dedicated to illustrating ayat (verses) of the Holy Quran using Lego. I think these illustrated ayat may be useful to parents and teachers when teaching children and even teenagers the meaning of the Qur’an. While we memorise the Quran in Arabic the majority of people attempt to grasp the meaning of the Quran in the language they know. At Teaching Kids the Holy Quran, the English translation is used. Thus far there are mixed selection of verses from Makki and Madani surah. Up on the site now is Surah Al Zalzala (The Earthquake) showing an excellent depiction of the chaos that comes with the arrival of the last day. Stories on iPhone, Kids book almanac: A roundup of News, Links, Books etc. Starting today is what I hope will be a weekly feature. Every Friday (or every other Friday depending on what I find) I will share with you what interesting and useful information I’ve found during that week. These may vary from new media or books I’ve come across, to news about developments in literacy and reading to links to great sites and blogs. To start with, I found the Children’s Book-a-Day Almanac site which profiles a children’s book or an author for each day of the year. Fascinating accounts of how a story came to be written and fun facts about what happened that day in literary history make this site truly an informative and enjoyable read. Here on February 4th is the story behind how the book Flat Stanley came about (many 7 – 8 year olds probably know about Flat Stanley). While many of the books and authors showcased are American, there is a wealth of information about books and their writers in general. I like the search feature on the site which allows me to find a book by age group, subject, author or genre/type (e.g. classic, science fiction, biography). This site can be a good starting point for children doing research on a book or an author. Teachers and parents can also use it to get quick recommendations on a particular topic. Over at the Imagination Soup site Melissa asks where are the toys that allows a child to use his imagination in this post. 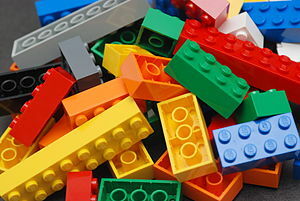 It made me think about the days when those little building bricks (known as Lego) were all the craze. I remember wanting to enter a Lego building competition back then. Those were the building blocks that let you imagine a structure and them challenge yourself to build it. Today, children in many situations aren’t been giving the chance to think for themselves, to use their imagination or creatively challenge themselves when they play. 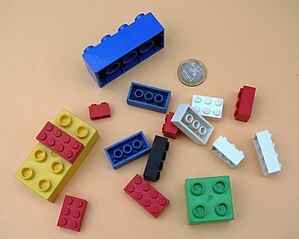 Lego sets only allows the child to only build a predefined model. With a limited selection of building pieces, children have little choice and flexibility. Where’s the fun in that? If you live in the United Kingdom you can participate in World Book Day activities. World Book Day is on March 3. See the website. If you have an iPad or iPhone and you want to creatively engage your children while travelling or waiting, then you’ll probably like this application called Tales2Go. The application allows you access a library of stories, a combination of audio book collections (e.g. Scholastic Audio) and tales from storyteller performers. The stories can be played on your device or tuned in with WiFi. Support literacy in the Muslim community – Be a Muslim champion! All reviews, photos, articles and opinions expressed are those of the editor of this blog unless otherwise stated. Please respect the time and effort that goes into preparing articles, interviews and reviews. For information about use of materials on this blog please follow the instructions on the copyright page here.